Jill has worked with rescue and shelter dogs off and on for years. 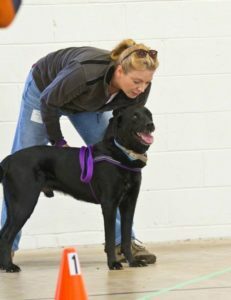 She is currently in the CNWI program and has been actively competing with two of her dogs in the sport of K9 nose work. Over the years, Jill has educated herself about canine behavior & training. She’s brought several canines into her home when they were feeling at their most vulnerable and in need of help. She’s no stranger to dogs with behavior issues or physical/health problems. Jill currently lives with five Labrador mixes, plus the occasional foster.